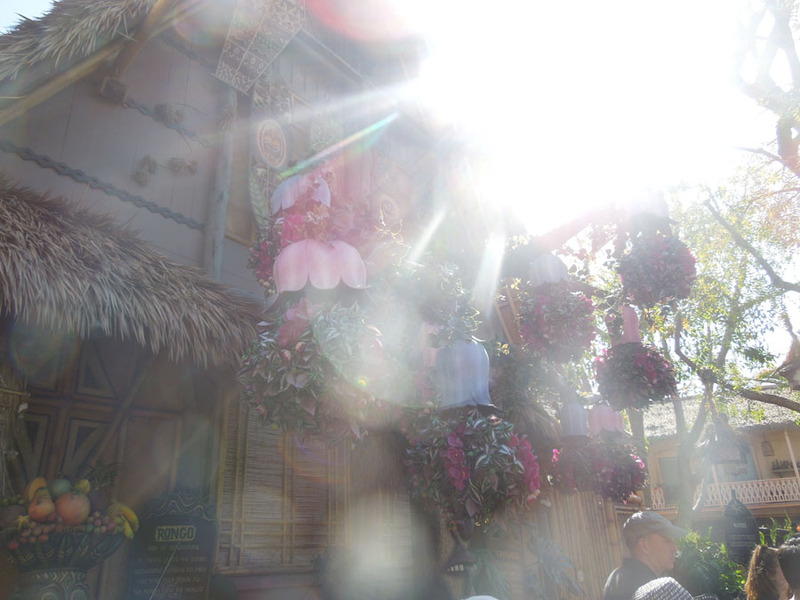 Look at this, look at that sign on the right! 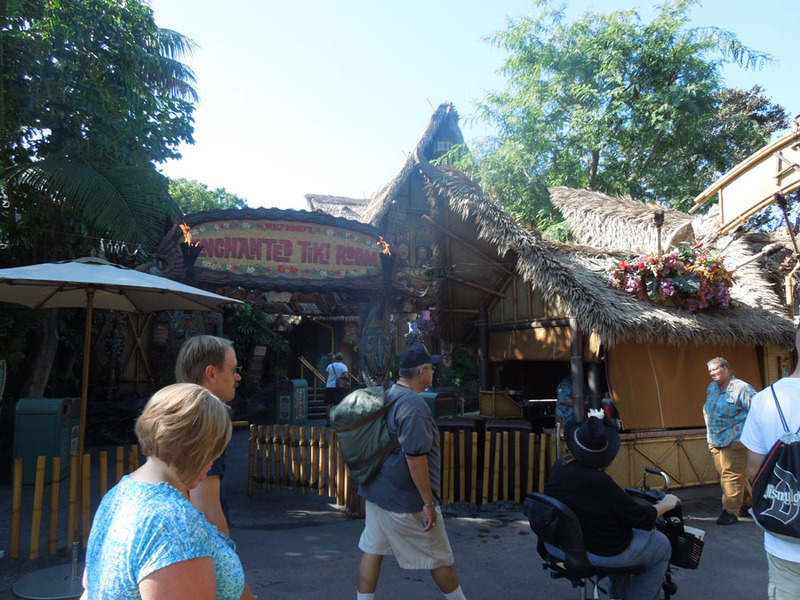 Enchanted Tiki Room is outside of Adventureland! 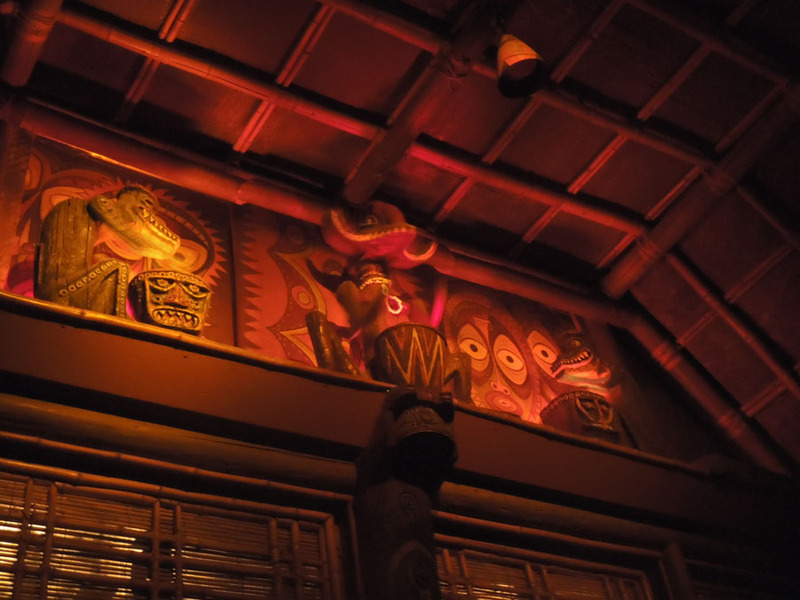 Tiki Juice Bar is on the right side of this image, with the orange awning, still drawn closed. 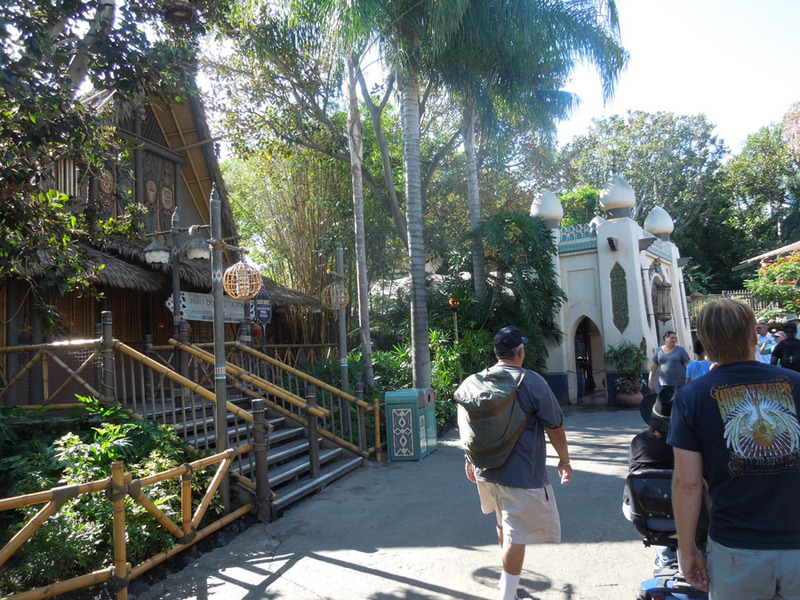 Under the Adventureland sign, the path turns left. 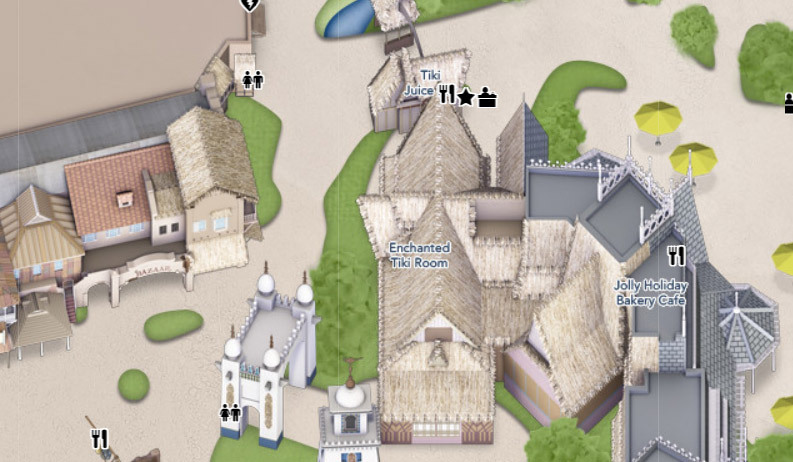 Aladdin's Oasis is the white temple ahead. 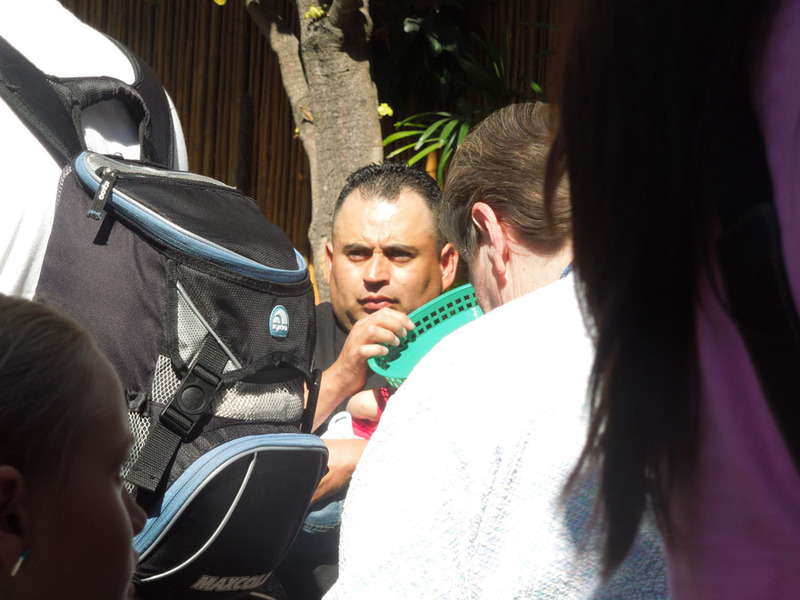 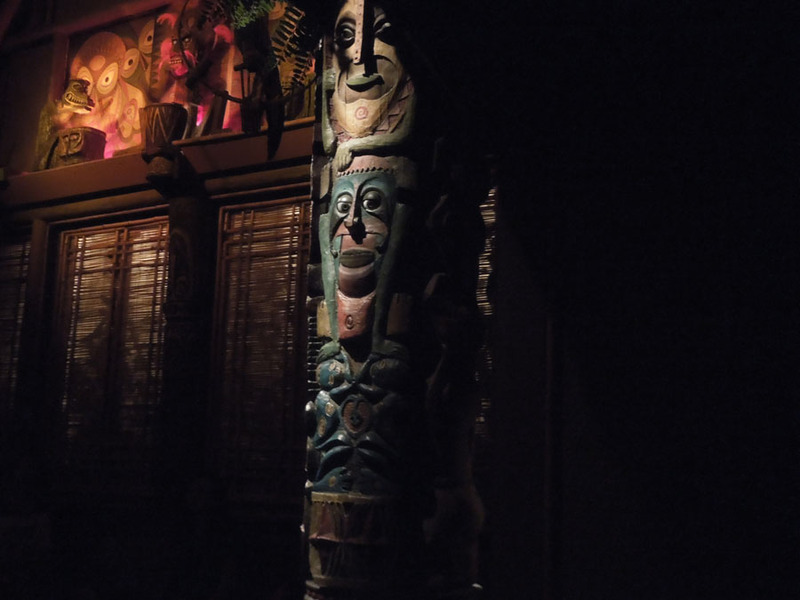 The tiki rooms exit lays to the left. 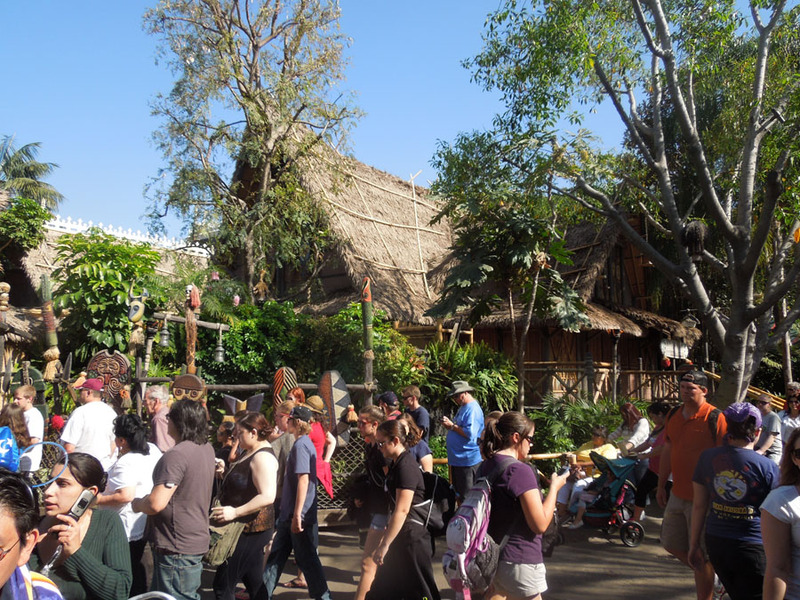 I bet this is the last time Disneyland made an exit look so inviting! 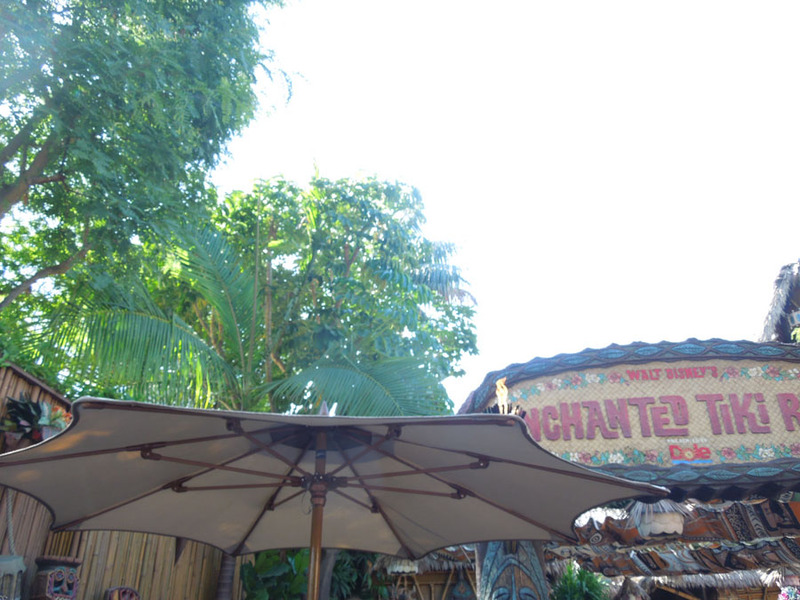 The enchanted Tiki Room sign and patio umbrella. 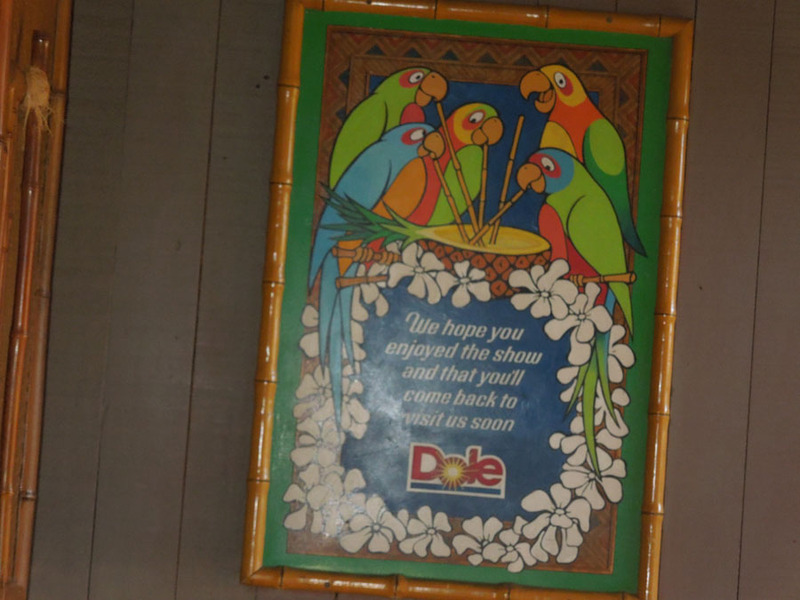 The Tiki Room waiting area. 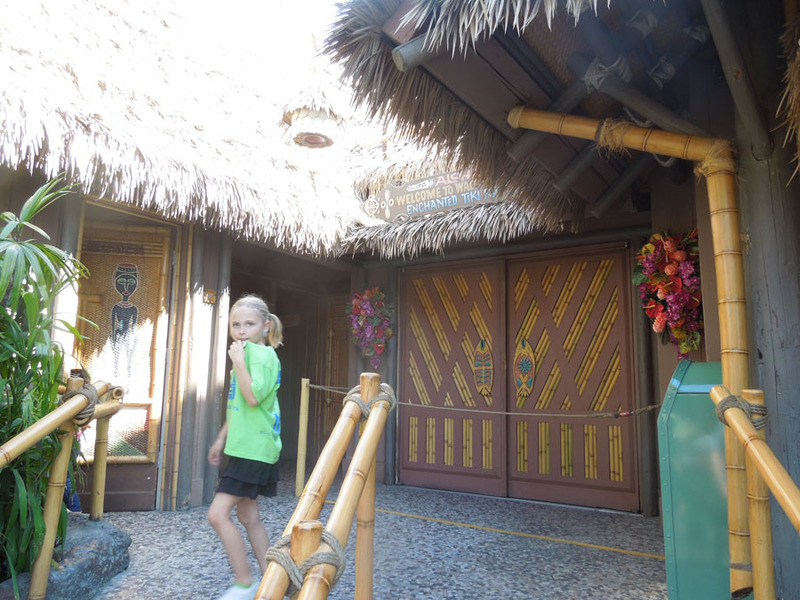 The roped-off entry doors to Tiki Room. 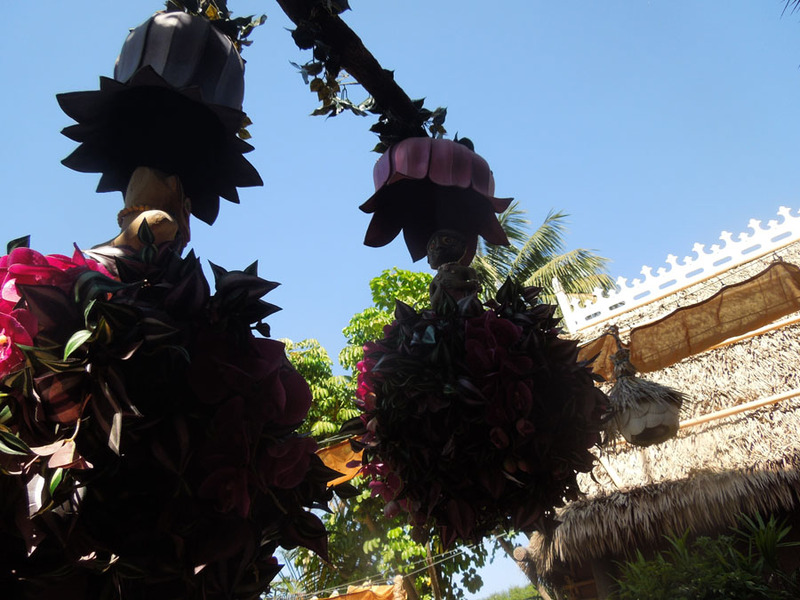 These flower balls are drop on queue to entertain the waiting crowd before the show. 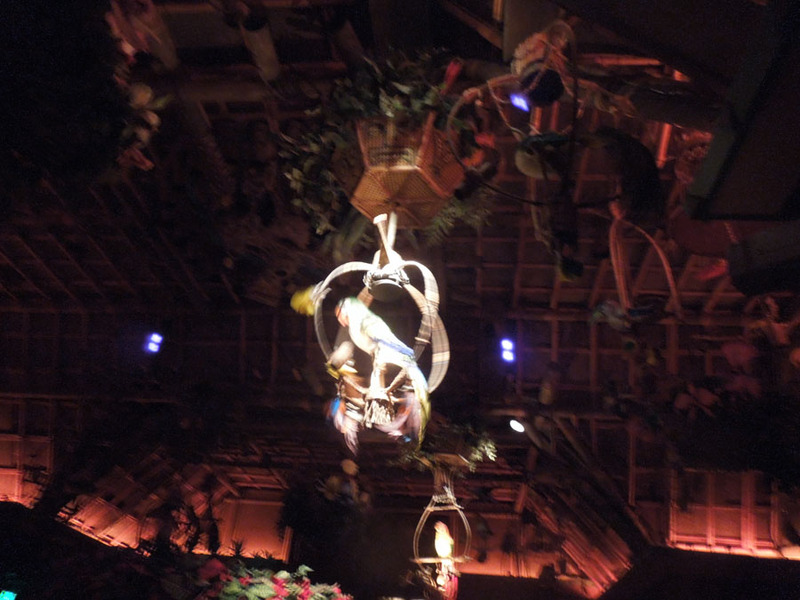 A chandelier of singing, animated birds has decended. 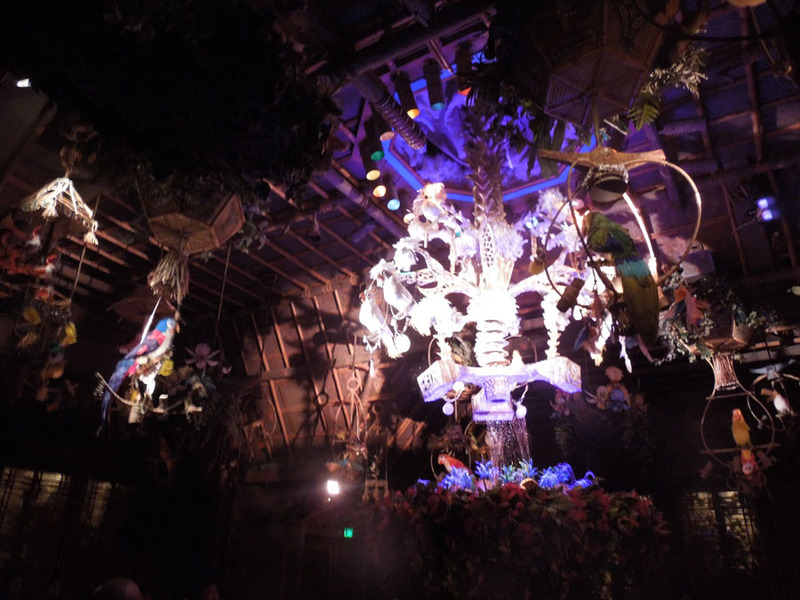 The singing birds and plants. 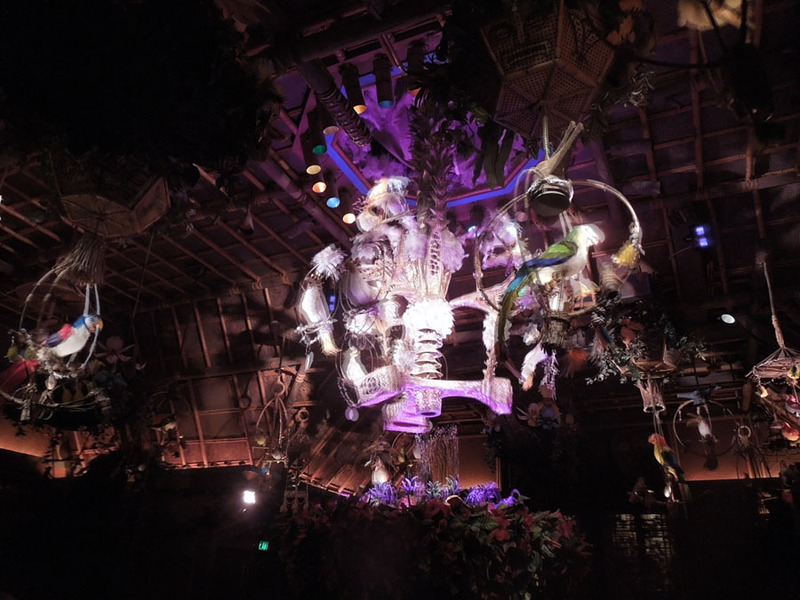 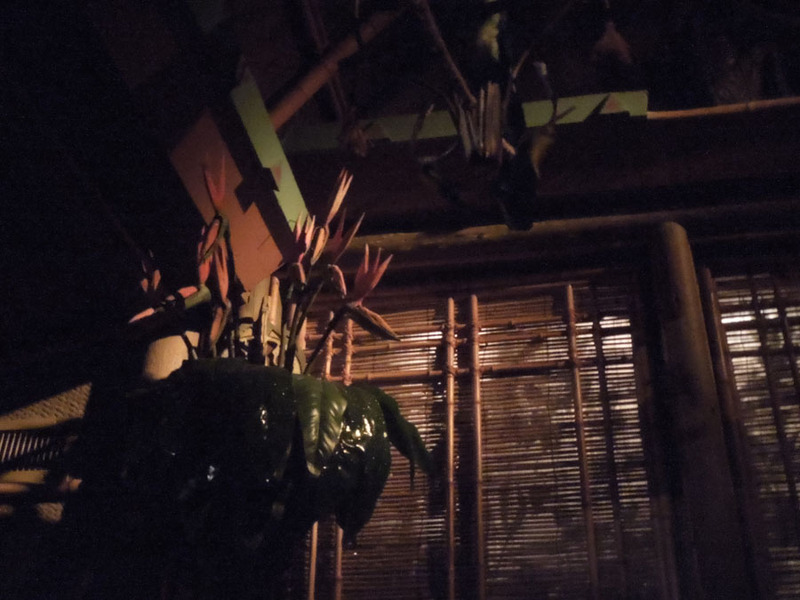 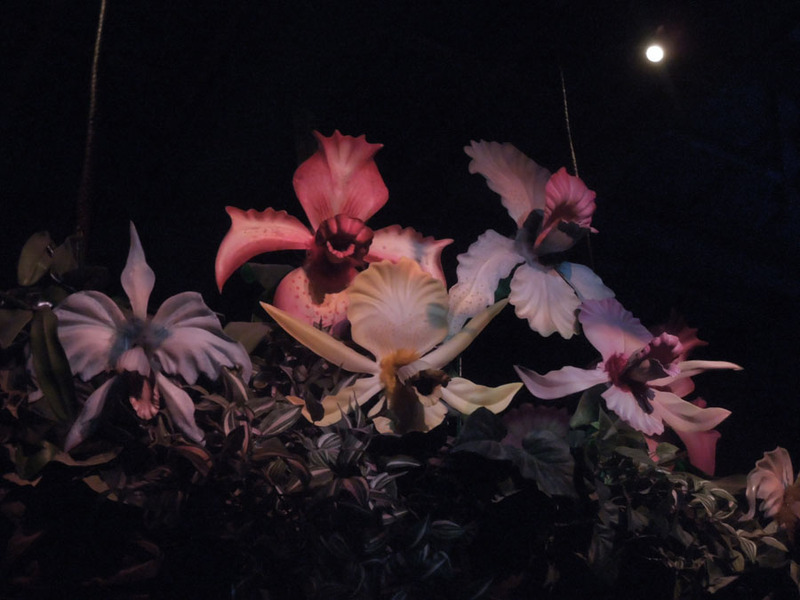 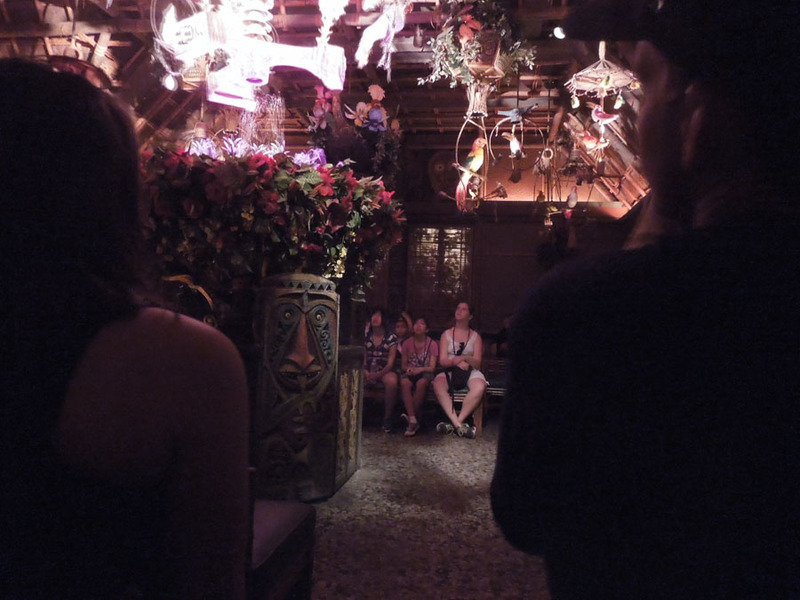 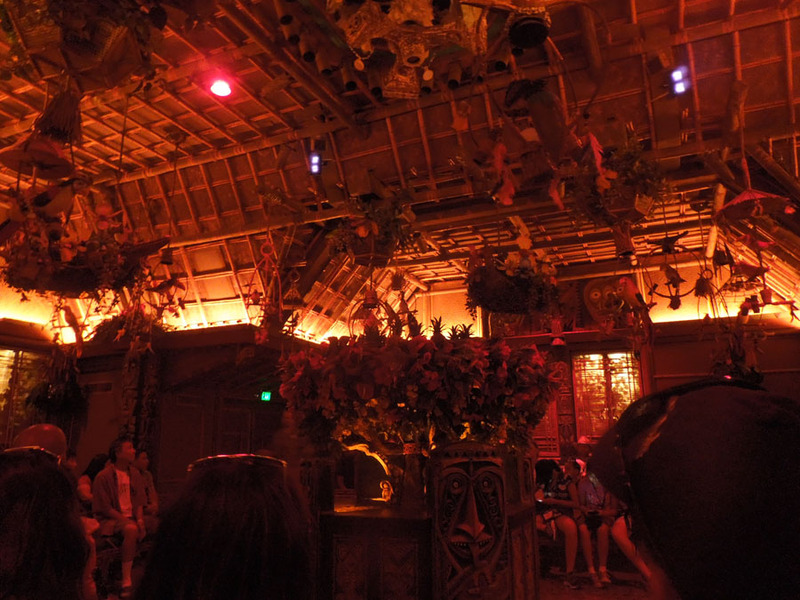 This photo captures the entire Tiki Room from the outside. 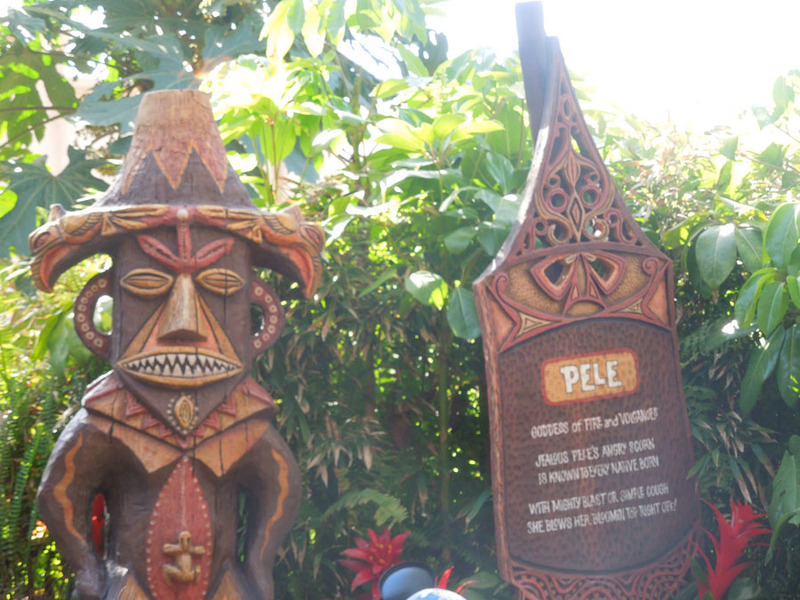 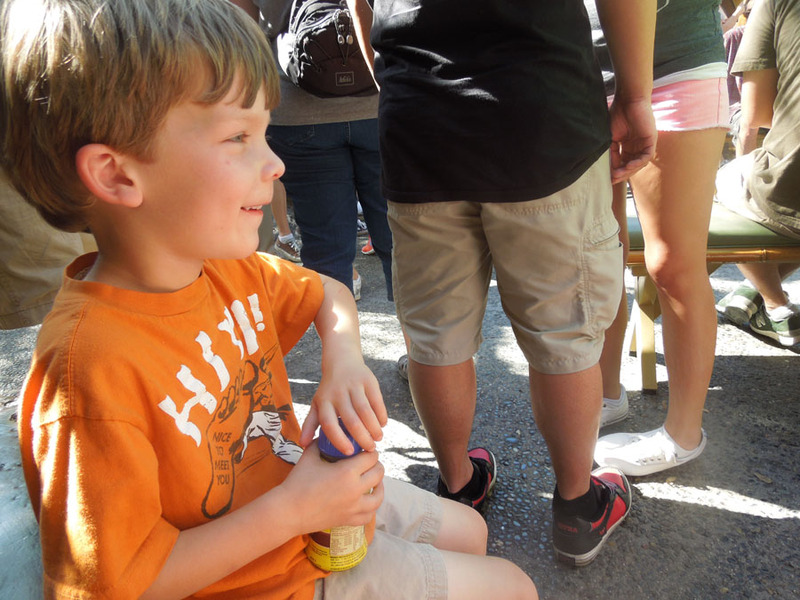 What a great way to introduce Adventureland!